Greetings from southern Illinois. I have a great issue for you this week. I spent the whole week searching for news for you to read. I know everyone is busy, but it is important for us to stay up to date with everything going on in wireless messaging and related fields. Scroll down and check out the headlines. Don't miss the great new ad from Product Support Services, Inc. following. PSSI is the industry leader in reverse logistics, our [their] services include depot repair, product returns management, RMA and RTV management, product audit, test, refurbishment, re-kitting and value recovery. Bob Popow has renewed and revised his long running ad for DAVISCOMMS USA . Thanks Bob. Their support is what makes this newsletter possible. WWDC 2012: Apple’s show satisfies, but is it saving real fireworks for later? Every year, Apple developers flock to what amounts to their Mecca — the company’s Worldwide Developers Conference (WWDC), held in San Francisco. For a week, Apple takes up residence in the Moscone Center (a massive set of convention spaces) and holds a series of engineering sessions, workshops and even an awards show. It’s where developers go to renew their faith — and they usually leave spreading the gospel. The whole thing kicks off with a big keynote event, where Apple talks about its recent successes and what products developers should be getting excited about for the future. Not surprisingly, the rest of the world really likes this part of the conference, too. On Monday, company head Tim Cook and other executives took to the stage at Moscone West and introduced a number of new products and new software to the cheering crowd. As with most Apple events these days, rumors and speculation had run rampant prior to the event, so many of the announcements were expected — but others were a surprise. 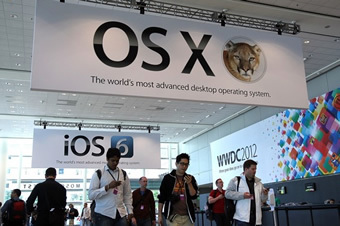 On the list of expected developments, Apple showed off the latest version of the Mac OS X operating system (nicknamed Mountain Lion), and the next version of its mobile operating system, iOS 6. Interestingly, Mountain Lion seems far more influenced by iOS than the other way around, boasting a new “notification center” that lets you see messages, alerts and updates from applications, integration with Messages (Apple’s mobile message app) and deeper connections to online services like iCloud and Game Center. The company has also brought Facebook and Twitter sharing to OS X, making it easier to beam your activities into the wide, waiting world. Apple has also tweaked its security on application installation, including a new product called Gatekeeper that allows apps to be digitally signed, meaning Apple can keep track of where they come from and whether or not they’re from a trusted source. You can also use the software to limit where your apps come from, which will probably make developers who are still independent from Apple’s OS X App Store a little more likely to climb on board. On the mobile side, the next version of iOS won’t be so much a revolution as an evolution — a process Apple has gotten pretty comfortable with over the past few years. This time around, the company has made somewhat of a big gamble in parting ways with Google, which it had previously partnered with on Maps in the core operating system. Apple has made huge investments in its own mapping service, as well as strategic partnerships with companies like TomTom (the GPS maker) to deliver its own map experience in iOS 6. The new service will function much like Google’s version, though it won’t go feature for feature in every area. Apple has created a breathtaking new 3-D map view that it calls Flyover, which is more pretty than it is useful, and will include turn-by-turn driving directions natively that can be triggered by Siri — the much-advertised virtual assistant. Siri was another area where Apple showed off improved functionality, including new features like sports scores, movie ticket purchases and restaurant reservations in the beta software. And the company added new apps as well, including an odd pouch for plane boarding passes and movie tickets it calls Passbook. Overall, however, iOS 6 won’t feel very far away from the previous version — which left some people at the show wondering what Apple might have up its sleeve come the fall, when it’s expected to release the next iPhone. I would venture to guess that we haven’t seen everything the forthcoming OS is capable of. The biggest news at the show actually did come on the hardware front, however. The company not only updated its entire line of portables (the MacBook Air and MacBook Pro notebooks), but also introduced a new, shockingly different model of the MacBook Pro that includes a super-high-resolution Retina display. The creatively named MacBook Pro with Retina Display has a 15-inch screen with a mind-boggling resolution of 2880 x 1800, and top-of-the-line CPU and storage specs to match. The device is thinner than previous versions and has a whole new array of ports (though not an optical drive). In person, the screen was as breathtaking as the new iPad’s display was when I first laid eyes on it. It certainly puts the competition to shame by orders of magnitude. But that shame-inducing hardware comes with a price: the new laptop starts at $2,199 and goes up from there. Still, for professionals who need horsepower and a lot of screen real estate, it’s hard to ignore the innovative new laptop. Even though it’s somewhat of a niche product right now, it signals what’s ahead for Apple. Thinner, lighter and faster — with amazing screen technology, too. Apple has become very much a company of consistency over the past decade. And one element of that consistency stands out among the rest: its unique ability to make the competition look like yesterday’s news. 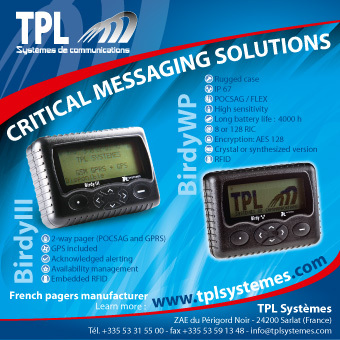 Do you have a product that provides or supports the delivery of time-sensitive critical messages in crisis situations? If so — we encourage you to attend the Global Critical Messaging Summit, co-hosted by the Critical Messaging Association and the European Mobile Messaging Association. The international summit will provide an opportunity to develop and build upon strategic partnerships to foster global business growth for those in the critical messaging industry. Stockholm the capital of Sweden is known for its beauty, its buildings, its architecture, its clean and open water, its many parks, as well as being a cultural, political, and media hub. The Elite Hotel Marina Tower is just minutes from Stockholm’s city centre, in one of the most beautiful locations. 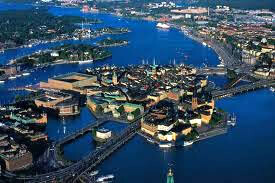 The hotel has views of the inner islands of Stockholm’s famous archipelago, over 24,000 islands, as well as Old Town. Register today . Registration for members is $350 and includes a dinner cruise in the Stockholm archipelago on the M/S Blue Charm boat. Contact linda@criticalmessagingassociation.org to make hotel reservations and with questions. WATERLOO, Ontario (AP) — President Barack Obama couldn't bear to part with his BlackBerry. Oprah Winfrey declared it one of her "favorite things." It could be so addictive that it was nicknamed "the CrackBerry." Then came a new generation of competing smartphones, and suddenly the BlackBerry, that game-changing breakthrough in personal connectedness, looks ancient. There is even talk that the fate of Research In Motion, the company that fathered the BlackBerry in 1999, is no longer certain as its flagship property rapidly loses market share to flashier phones like Apple's iPhone and Google's Android-driven models. 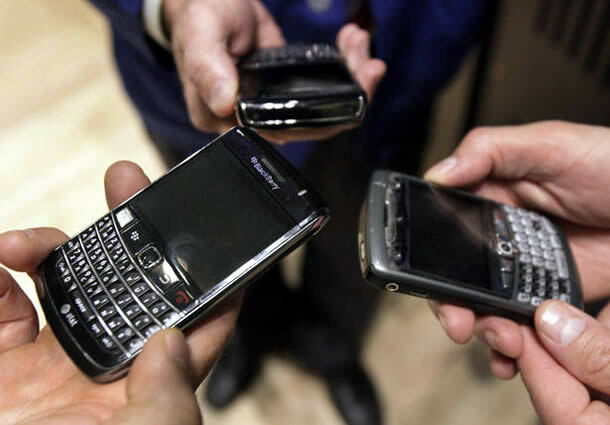 With more than $2 billion in cash, bankruptcy for RIM seems highly unlikely in the near term, but these are troubling times for Waterloo, Ontario, the town of 100,000 that was transformed by the BlackBerry into Canada's Silicon Valley. RIM is Canada's most valuable technology company, an international icon so prestigious that founder Mike Lazaridis and its other driving force, Jim Balsillie, are on an official government list of national heroes, alongside the likes of Alexander Graham Bell. RIM's U.S. share of the smartphone market belly-flopped from 44 percent in 2009 to 10 percent in 2011 according to market researcher NPD Group. The company still has 78 million active subscribers across the globe, but last month RIM issued a warning that it will lose money for the second consecutive quarter, will lay off workers this year, and has hired a team of bankers to help it weigh its options. Last July it slashed 2,000 jobs. Of RIM's 16,500 remaining employees, 7,500 live in Waterloo, a university town 90 minutes' drive from Toronto, where everyone seems to know someone who works for RIM. John Lind says RIM's impact on his field, commercial real estate, is enormous. "We talk about RIM in hushed tones in this region because no one wants to be negative about it, no one wants to be seen as not on their side," he said. "But people are saying, 'What would this region look like without RIM?'" The decline of the BlackBerry has come shockingly fast. Just five years ago, when the first iPhone came out, few thought it could threaten the BlackBerry. Now Chief Executive Thorsten Heins says his employees "are getting asked all the time, 'What's going on with you guys? What happened? I mean RIM is the star of Canada and what happened to you guys? And how bad is it going to go?'" RIM's software is still focused on email, and is less user-friendly and agile than iPhone or Android. Its attempt at touch screens was a flop, and it lacks the apps that power other smartphones. Its tablet, the PlayBook, registered just 500,000 sales to Apple's 11.8 million in the last quarter despite a price cut from $500 to $200, well below cost. RIM's hopes now hang on BlackBerry 10, a new operating system set to debut later this year. It's thoroughly redesigned for the new multimedia, Internet browsing and apps experience that customers are now demanding. Heins, formerly RIM's chief operating officer, says he can turn things around with BlackBerry. He took over in January after the company lost tens of billions in market value and founder Lazaridis stepped down along with co-CEO Balsillie. RIM was once Canada's most valuable company with a market value of $83 billion in June 2008, but the stock has plummeted since, from over $140 share to around $10. Its decline is evoking memories of Nortel, another Canadian tech giant, which ended up declaring bankruptcy in 2009. "It has to be very sad," BGC Financial Partners analyst Colin Gillis said from New York. "I feel for those people up there because what else are you going to do — work at the Apple store that just opened in the mall?" But Waterloo is home to more than 800 tech companies and is certainly no company town, many here insist. Smaller firms like e-learning company Desire2Learn have doubled their head count in the last year, and Google has opened an office here. Tad Homer-Dixon, chairman of the Center for International Governance and Innovation, a Waterloo-based think tank, likens Waterloo to Rochester, New York, where the blow of Kodak's bankruptcy filing is cushioned by the network of startups the company helped to spawn. "They've taken an enormous hit because of the collapse of Kodak, and Waterloo will take an enormous hit assuming that RIM ultimately vanishes from the scene, but I think the overall economy and region has been so fundamentally changed by RIM that it will actually do very well," Homer-Dixon said. Homer-Dixon says RIM's impact on the city has been staggering. His think tank was created by RIM's Balsillie, and he also is a professor at the Balsillie School of International Affairs at the University of Waterloo. Balsillie and Lazaridis have together donated more than $400 million to the community. Lazaridis has donated $150 million to the Perimeter Institute for Theoretical Physics, which he founded in 2000 and which attracts the involvement of such giants of physics as Stephen Hawking. "Ten years from now BlackBerrys will be in the Smithsonian but these institutions will hopefully still be thriving," Homer-Dixon said. Lazaridis, 51, remains on RIM's board. Canadian billionaire Prem Watsa, a fellow board member, calls the Turkish-born Greek immigrant a genius who pioneered the smartphone. "It really would be unfortunate if anything happened to RIM, and I'd like to do whatever I can to help," Watsa said. In an interview with The Associated Press at RIM headquarters in Waterloo, Heins said he won't try to compete head-to-head with Apple but will try to build on RIM's strengths, such as its dominance of the corporate smartphone market. RIM says more than 90 percent of Fortune 500 companies use BlackBerry and that more than a million North American government workers rely on BlackBerry's software security. But Heins acknowledges RIM failed to quickly adapt to the emerging "bring your own device" trend, in which employees bring their personal iPhones or Android devices to work instead of relying on BlackBerrys issued by their employers. That's where BlackBerry 10 comes in — delayed but not too late to vie with the new Apple iPhone expected this fall, or so Heins hopes. "At the end of the day if the product is good you can always come back," Heins said. "There's many examples of how that has happened. I'm not that scared about this, frankly." Other tech companies have indeed recovered from the ropes. The late Steve Jobs said Apple was less than three months away from bankruptcy when he rejoined it in 1997, and it's now the world's most valuable company. Homer-Dixon said it's amazing that RIM in Waterloo got this far, considering it has had to compete with Silicon Valley, "the most powerful engine of innovation that humankind has ever created." Neither Lazaridis nor Balsillie has given interviews about RIM since stepping down, but Homer-Dixon suggests Balsillie is well prepared for a change of fortune. He recalls being on a boat in the Arctic in mid-2009 with Balsillie, who talked about the importance of luck in building a tech giant. A crew member asked where RIM would be in five years. "He said, 'Well the smartphone industry is a rapidly expanding market and I think we'll retain a segment of it.' Then his last words were 'I don't think RIM will go bankrupt, but who knows.'" BlackBerry-maker RIM reveals it paid former CEOs and co-chairs Jim Balsillie and Mike Lazaridis a combined $12 million. BlackBerry maker Research in Motion is giving Jim Balsillie and Mike Lazaridis a $12 million golden parachute. A company filing with the U.S. Securities and Exchange Commission Thursday revealed Balsillie and Lazaridis will be getting $7.93-million and $3.96-million respectively after resigning as co-CEOs and co-chairs of the Waterloo-based firm. Balsillie and Lazaridis stepped down in January, with the company naming Thorsten Heins as its new CEO and Barbara Stymiest as its new chair. The company also revealed it will nominate former Goldman Sachs executive Timothy Dattels to the board of directors at its upcoming annual general meeting, which takes place July 10th. Dattels is currently a senior partner at Texas-based TPG Capital, a private equity firm specialized in leveraged buyouts and which invests in distressed companies. That makes him a “solid hire” for RIM’s board, suggested Jefferies and Co. analyst Peter Misek, but doesn’t mean the TPG is looking at buying into the company. “I think RIM would be a massive challenge for any private equity investment,” said Misek, pointing to Elevation Partners’ massive investment in former tech darling Palm. While Elevation may have in fact ended up making a small amount on its investment, it was only after HP bought Palm at what most observers believe was a wildly overvalued price. “They almost lost their shirts and were bailed out by a stupid decision by HP. That will scare folks,” said Misek. Activist investor Vic Alboini, whose Jaguar Financial pushed for the departure of Lazaridis and Balsillie, said Dattel alone isn’t enough of a change to RIM’s board. “We were looking for there to be three new directors,” said Alboini, who nonetheless sees value in Dattel’s hiring. “Any change on the board that brings experience from outside Toronto is a good thing. He certainly has the type of experience you want when the company’s undergoing a strategic review,” said Alboini. Dattels would replace Antonio Viana-Baptista, who’s quitting. At Goldman Sachs, Dattels was a managing director, and ran the company’s Asian investment banking operations, excluding Japan. He’s currently a senior partner at Texas-based TPG Capital, a private equity firm specialized in leveraged buyouts and which invests in distressed companies. Heins revealed earlier this month that RIM likely had an operating loss in the quarter which ended in May. Quarterly earnings will be revealed June 28th. He also said RIM had hired a pair of investment banks to explore strategic options. Microsoft issued a media invitation to a super-secret event Monday in Los Angeles: "This will be a major Microsoft announcement — you will not want to miss it." Although the tech giant gave no hints about what it was planning to announce -- even keeping the address a secret — a source told The Wrap that Microsoft plans to unveil a tablet to rival Apple's iPad . The entertainment blog said the company plans to introduce a Microsoft-branded-and-manufactured tablet at the event, "marking a foray into a new hardware category that would put the company in direct competition" with Apple. There's been talk of a Microsoft tablet for years, but nothing has surfaced. According to the Wrap, the Microsoft tablet will run on Windows RT, a version of Windows 8. 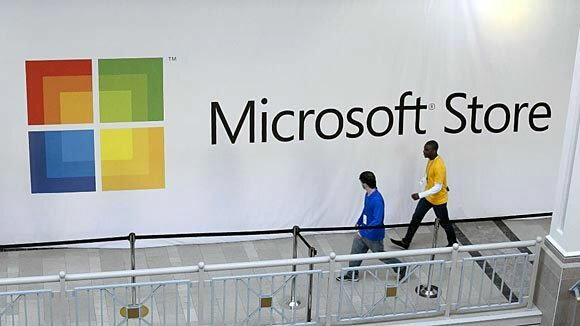 Microsoft's Monday event begins at 3:30 p.m. Media invitees were told that their invitations were non-transferable. "However, if you would like to send your local colleague in your place, please submit that name and it will be reviewed." The company said additional information, including the specific venue, would be sent to registered attendees on Monday by 10 a.m.
Sprint’s 2005 merger with Nextel will likely go down as the textbook example for how telecom mergers can go heinously wrong. The major reason? Sprint’s inability to effectively integrate Nextel’s iDEN network and services into its own CDMA-based network and services. The iDEN network cost Sprint dearly, as the carrier was forced to write off a $29 billion loss from the Nextel acquisition in late 2007 and then saw an astonishing 4 million wireless subscribers flee in 2008. To make matters worse, the iDEN network was clogging up spectrum on the valuable 800 MHz band that Sprint could have used to deploy an LTE network. So it must come as no small relief to Sprint that it will finally be able to shut down the iDEN albatross next year; the company on Tuesday said that it would cut off service on the network as early as June 30, 2013. OVERLAND PARK, Kan. (BUSINESS WIRE), June 12, 2012 — Sprint (NYSE:S) announced today that it has signed agreements with Goodman Networks, Overland Contracting, Inc., a construction affiliate of Black & Veatch, Pyramid Network Services LLC and WesTower Communications Inc. to decommission the company’s iDEN network. Under the terms of the deals, these suppliers will negotiate lease termination agreements, restore cell site compounds and remove Sprint network equipment for re-use or recycling. Sprint recently announced that it plans to cease service on the iDEN Nextel National Network as early as June 30, 2013, which marks another major milestone on the path to completing the Sprint Network Vision plan. Network Vision is a multiyear initiative to provide an enhanced network experience by improving voice quality and providing faster data speeds, while creating network flexibility and reducing operating costs. Network Vision also improves environmental sustainability by reducing electricity use and driving down greenhouse gas emissions. Today’s announcement underscores Sprint’s commitment to decommissioning the iDEN network swiftly and efficiently. To begin preparing for the more robust network consolidation, the company expects to shut down a total of 9,600 iDEN sites before the end of the third quarter 2012. Sprint released an Electronic Stewardship Policy in May 2011, outlining its goal to eliminate all internal e-waste from its own operations and establishing social and environmental criteria that its e-waste suppliers must meet. Sprint continues to facilitate migration of iDEN customers to Sprint Direct Connect service. Sprint Direct Connect, the industry’s newest push-to-talk (PTT) gold standard, was announced in October 2011. The service provides broadband data capabilities, familiar push-to-talk features, and rugged and reliable handset options. Sprint Direct Connect coverage is expected to broaden throughout 2012. During the past eight months, Sprint has announced four rugged Sprint Direct Connect handsets: Kyocera DuraMax, Kyocera DuraCore, Kyocera DuraPlus and Motorola ADMIRAL™, which cater to push-to-talk users. Last month, Sprint made International Direct Connect available on its Sprint Direct Connect devices, expanding the reach of push-to-talk capabilities to and from Mexico, Brazil, Argentina, Peru and Chile. BERLIN — Nokia said Thursday it would slash 10,000 jobs, or 19 percent of its work force, by the end of 2013 as part of an emergency overhaul that includes closing research centers and a factory in Germany, Canada and Finland, and the departures of three senior executives. The company also warned investors that its loss was likely to be greater in the second quarter, which ends June 30, than it was in the first, and that the negative effects of its transition to a Windows-based smartphone business would continue into the third quarter. Nokia, based in Espoo, Finland, posted a loss of €929 million, or $1.2 billion, in the first quarter as sales plummeted 29 percent. Once the undisputed global leader in the mobile phone business, Nokia has been out-competed by Apple , as well as by Samsung and other makers of handsets running Google’s Android operating system. In February 2011, Nokia and Microsoft announced an alliance to produce a line of smartphones called Lumia running the Windows operating system. Since then, the Finnish company has seen its sales fall and profit evaporate as consumers and operators have avoided, or demanded discounts on, smartphones running Nokia’s in-house Symbian operating system, which the company is phasing out. Although Lumia devices have won critical praise, sales have not been strong enough to offset declines in its main business. The company said the job reductions, and the shutdowns of research and development centers in Ulm, Germany, and Burnaby, Canada, and a handset factory in Salo, Finland, would save €1.6 billion by the end of next year. In a conference call with journalists, Mr. Elop suggested that Nokia Siemens Networks, the company’s 50-50 network equipment venture with Germany’s Siemens, which lost a combined €986 million in 2010 and 2011, could be one of the businesses in the focus of its future review. Mr. Elop declined to describe Nokia Siemens as a non-core asset but said the network gear maker’s restructuring, now in its second year, was designed to make it more attractive for potential investors. Nokia said 3,700 of the planned 10,000 job to be cut would take place in Finland. The handset factory in Salo to be closed is Nokia’s largest in the country, and about 850 employees will be affected there by the reductions. Nokia plans to keep a research center in Salo open. Pete Cunningham, an analyst at Canalys, a research firm in Reading, England, said the cuts by Nokia were not surprising given the intense competition from Apple, the global leader in smartphones, and Samsung, the South Korean rival that overtook Nokia this year as the world’s largest bulk maker of cellphones. Shares of Nokia were down 9.4 percent Thursday in Helsinki trading. Nokia employed 53,553 workers in its handset business at the end of March. The company also had 68,595 employees in Nokia Siemens. The Nokia executive responsible for Nokia’s bulk handset business, Mary T. McDowell is one of three senior level executives who will be leaving the company at the end of this month, Nokia said. Jerri DeVard, the chief marketing officer, and Niklas Savander, the executive vice president of markets, will also leave. Ms. McDowell, an American and a former Hewlett-Packard executive, had been with Nokia since 2004. Ms. DeVard, an American who had worked in marketing at Verizon, Citigroup and Revlon, had joined Nokia in January 2011. Mr. Savander, a Finn, had served in a variety of senior roles since joining Nokia in 1997. Nokia promoted three Finnish citizens and two Americans as replacements. Juha Putkiranta was named executive vice president of operations; Timo Toikkanen was appointed executive vice president of mobile phones; Chris Weber, an American, was named executive vice president of sales and marketing; Tuula Rytila was appointed as senior vice president of marketing and chief marketing officer; and Susan Sheehan, an American and former Microsoft executive, was named senior vice president of communications. Ilkka Rauvola, an analyst at Danske Bank in Helsinki, said that while the profit warning might hurt shares in the short term, Nokia appeared to be addressing its core challenges for the long term. “It looks to me that management is taking action and doing what they need to do,” Mr. Rauvola said. Mr. Elop, the Nokia chief, said the cost savings and job cuts were intended to return Nokia to profitability “as soon as possible.” He said Nokia, which reported net cash reserves of €4.9 billion at the end of March, had “ample” resources to weather the transition. But Francisco Jeronimo, an analyst with International Data in London, said Nokia was running out of time to return to profitability and prove the success of its strategy to align its business with Microsoft, the world’s largest maker of software. Mr. Jeronimo said Microsoft would be the most likely suitor for Nokia, whose share price has fallen by 75 percent since the company announced its Windows strategy last year. Both companies have declined to comment on market rumors about a pending takeover. In the conference call, Mr. Elop described Nokia’s relationship with Microsoft as fruitful and close, saying that both companies expected a boost from the upcoming introduction of the Windows 8 operating system, which will have enhanced mobile features and allow for the integration of services across smartphones, tablet computers and other computing devices. A major question is whether Nokia on its own can bridge the transition to a Windows-based future. Nokia told investors that it expected its second-quarter operating loss in its devices and services segment, its main business, to be greater than the 3 percent of sales recorded in the first quarter. The company had previously said the second-quarter loss could be equal or more than the loss in the first quarter. Some mobile operators' complaints that over-the-top content providers are wrongly turning their networks into dumb pipes may get a hearing later this year at the United Nations, which is pondering an Internet tax designed to make the largest Web content providers pay up for the privilege of serving non-U.S. customers. The tax, as envisioned, would ostensibly be used to fund broadband network buildouts worldwide, particularly in developing countries, and would largely be borne by leading U.S.-based Internet brands such as Apple (NASDAQ:AAPL), Google (NASDAQ:GOOG) and Facebook. The proposal is based on a global Internet tax suggested by European network operators, according to a CNET article. The plan is part of a set of proposals tentatively slated for review at the World Conference on International Telecommunications, which will be held this December in Dubai by the 193 members of the International Telecommunications Union, an agency of the UN. The proposal "would amend an existing telecommunications treaty by imposing heavy costs on popular Web sites and their network providers for the privilege of serving non-U.S. users," said CNET. The draft proposal was created by the European Telecommunications Network Operators Association, or ETNO, a Brussels-based lobbying group representing companies in 35 nations. ETNO's members, which unanimously approved the tax plan, include Deutsche Telekom, France Telecom, Telecom Italia, Swisscom and Spain's Telefonica. ETNO contends its plan relies upon the "principle of sending-party network pays." CNET received a statement from ETNO in which the group said, "to ensure an adequate return on investment in high bandwidth infrastructures, operating agencies shall negotiate commercial agreements to achieve a sustainable system of fair compensation for telecommunications services." The proposal could allow "governments to monitor and restrict content or impose economic costs upon international data flows," said Ambassador Philip Verveer, a U.S. deputy assistant secretary of state and the U.S. coordinator of international communications and information policy. FCC Commissioner Robert McDowell has said foreign governments intend to "use international mandates to charge certain Web destinations on a 'per-click' basis to fund the build-out of broadband infrastructure across the globe." The Obama administration as well as Democratic and Republican members of Congress recently began publicizing what they characterize as ITU secret negotiations that could seriously impact the ability of U.S.-based Internet companies to reach consumers in other nations. The proposed revisions to telecommunications treaties could also impact U.S.-based network providers, which might be required by international law to implement methods to track and charge for Internet website access. At the Mobile World Congress held this past February in Barcelona, Spain, the concept of taxing or assessing fees on OTT providers and others was repeated with regularity by mobile operators based in Europe and elsewhere. The topic also frequently comes up in discussion with U.S. mobile network operators. The CEO of Telecom Italia, Franco Bernabe, used his MWC keynote appearance to rally against over-the-top players, arguing that OTT vendors are sucking resources away from wireless operators. Bernabe's comments were given weight by his position as the chairman of the GSMA, the organization that conducts the MWC conference. Also at MWC, Sunil Bharti Mittal, CEO of Indian carrier Bharti Airtel, said during a keynote address, "YouTube is consuming a massive amount of resources on our network. Somebody's got to pay for that." Similarly, during the CTIA Wireless 2012 convention, Verizon Communications' CTO Tony Melone said the OTT phenomenon is one of the most important questions facing operators today. "What will the over the top model look like?" he asked during on CTIA panel, noting that Verizon is considering mechanisms that would allow content suppliers to pay for users' access fees. Tom Ray gives us a tour of WWV, the station that's all time all the time. Hosts: Kirk Harnack, Tom Ray, Chris Tobin, and Chris Tarr. This is long but . . . I have been listening to WWV for over fifty years and for me it was worth the time it took, and was very interesting. The FCC, at today’s open meeting, adopted rules to ensure that its equipment authorization program will continue to operate smoothly in the face of an ever increasing number of applicants and applications for equipment authorization for wireless devices. Devices range from cell phones and police and marine radios, to computers and micro-transmitters placed in computers, to Wi-Fi and Bluetooth devices, to implanted wireless medical devices, to remote control devices, to security tags, to inventory trackers, and many more in variety and number. Applicants range from well-known companies like Gibson Guitar, Texas Instruments and Ford Motor Company, to seemingly unlikely participants such as Oreck, Adidas, and the Nebraska Furniture Mart, as well as numerous makers — large and small — of individual electronics components that are included in larger devices. The FCC said the equipment authorization program is a key component of its spectrum and policy agenda. The Commission said the program encourages innovation in equipment design, ensures efficient use of the radio spectrum, and implements policy objectives such as the hearing aid compatibility of handsets. The rapid innovation in equipment design has led to ever-accelerating growth in the number of parties applying for equipment approval. As a result of this growth, the FCC is running low on the identification codes it assigns to new applicants. Since 2006, the number of new codes issued annually has risen from 954 to 1275 last year. The FCC said its action today will significantly increase the pool of identifier codes assigned to companies requesting equipment authorizations to ensure that a sufficient supply is available well into the future. The FCC also announced that it plans to consider ways to improve its equipment authorization program, including clarifying or modifying the administrative requirements and the responsibilities of the Telecommunications Certification Bodies that perform equipment certification. (4) Recovery of universal service contributions from consumers (BloostonLaw Telecom Update, May 2). Comments in this WC Docket Nos. 06-122 and GN Docket No. 09-51 proceeding are due July 9, and reply comments are due August 6. What services and service providers should contribute to the fund? Comment is sought on two alternative approaches to defining what services or providers should be subject to contribution obligations: (1) using the FCC’s permissive authority, and/or other tools to clarify or modify on a service-by-service basis whether particular services or providers are required to contribute to the Fund; or (2) adopting a more general definition of contributing interstate telecommunications providers as the marketplace continues to evolve. How should contributions be assessed — on revenues, the number of connections, by phone numbers, or a hybrid approach? In particular, the FCC seeks to refresh the record. How to reduce the cost, promote transparency and increase clarity of the contribution system. For example, should the FCC adopt an annual review of the instructions and content of the form that telecommunications providers must submit to determine the scope of their contribution obligations (FCC Form 499)? The FCC also seeks comment on ways to improve administration of the contribution system, such as setting performance goals for timely reporting by contributors and prompt payment of contributions. The FNPRM additionally seeks comment on the appropriate transition periods for reforms to allow service providers and consumers to adapt. The FCC’s Public Safety and Homeland Security Bureau has issued a Public Notice “encouraging” telecommunications service providers to adhere to 9-1-1/Enhanced 9-1-1 (9-1-1/E9-1-1) service best practices developed by the former Network Reliability and Interoperability Council (NRIC) and by its replacement, the Communications Security, Reliability and Interoperability Council. Specifically, the Bureau reminds telecommunications service providers of the importance of providing diversity and redundancy in the provisioning of 9-1-1/E9-1-1 services. The need to maintain diversity and relevant best practices were addressed also in a March 2010 Bureau Public Notice, and the Bureau said it reiterates the importance of these practices to reliable and continuous 9-1-1/E9-1-1 service. Based on submissions in the Commission’s Network Outage Reporting System (NORS) and publicly available data, the Bureau said it has observed a number of major 9-1-1/E9-1-1 service outages caused by inadequate diversity and/or the failure to maintain diversity. Most of these major outages could have been prevented if existing NRIC best practices had been followed, the Bureau said. In one recent case, it added, the location information for wireless 9-1-1 calls from a 9-1-1 service provider entered a wireline carrier’s network at two diverse entry points. The Bureau said the wireline carrier had two diverse Automatic Location Identification (ALI) databases to send the location information on wireless 9-1-1. However, all physical paths from the two diverse entry points had a single point of failure, resulting in an outage that impacted service to a significant number of PSAPs covering a large geographic region. The Bureau noted that NRIC best practice 7-7-0566 addresses 9-1-1/E9-1-1 communications services and specifically identifies the need for diversity in equipment and lines used to provide 9-1-1/E9-1-1 communications services. The Bureau said it reminds service providers of this best practice and two others that could help prevent the type of major 9-1-1/E9-1-1 outages that have been recently observed. 8-7-0566: Network Operators and Service Providers should consider placing and maintaining 9-1-1 circuits over diverse interoffice transport facilities (e.g., geographically diverse facility routes, automatically invoked standby routing, diverse digital cross-connect system services, self-healing fiber ring topologies, or any combination thereof). 8-8-0575: Network Operators and Service Providers should deploy Diverse Automatic Location Identification systems used in Public Safety (e.g., Automatic Location Identification and Mobile Positioning Center systems) in a redundant, geographically diverse fashion (i.e., two identical ALI/MPC data base systems with mirrored data located in geographically diverse locations). 8-7-0532: Diversity Audit — Network Operators should periodically audit the physical and logical diversity called for by network design and take appropriate measures as needed. The Bureau said the need to maintain diversity in 9-1-1/E9-1-1 service connections was also recognized by the Alliance for Telecommunications Industry Solutions (ATIS) in its National Diversity Assurance Initiative, which found that maintaining physical diversity requires periodic audits. In arriving at this conclusion, ATIS established ten diverse pairs of circuits and found that only four were still physically diverse one year later. REVISED “ROBOCALL” RULES TAKE EFFECT JULY 11: The FCC has published its revised “Robocall” rules in the June 11 Federal Register (BloostonLaw Telecom Update, February 15). The revised rules require prior express written consent for all autodialed or prerecorded telemarketing calls to wireless numbers and for prerecorded calls to residential lines and, accordingly, eliminate the established business relationship exemption for such calls to residential lines while maintaining flexibility in the form of consent needed for purely informational calls; require all prerecorded telemarketing calls to allow consumers to opt out of future prerecorded telemarketing calls using an interactive, automated opt-out mechanism; and limit permissible abandoned calls on a per-calling campaign basis, in order to discourage intrusive calling campaigns. The rules also exempt from the telemarketing requirements prerecorded calls to residential lines made by health care-related entities governed by the Health Insurance Portability and Accountability Act of 1996. The effective date of the revised rules is July 11, except revised 47 CFR 64.1200(a)(2), 64.1200(a)(3), and 64.1200(a)(7), and 47 CFR 64.1200(b)(3), which contain modified information collection requirements that have not been approved by the Office of Management and Budget (OMB). The Commission said it will publish a separate document in the Federal Register announcing the effective dates of those amendments. (3) creates a bi-national Task Force to support the transition of incumbent operators along the border to the new allotment plan. The Protocol for 800 MHz replaces a previous agreement and paves the way for completion of 800 MHz rebanding by U.S. public safety and commercial licensees operating along the U.S.-Mexico border. The FCC ordered rebanding to alleviate interference to public safety licensees in the band caused by commercial cellular licensees. The new Protocol for the 1.9 GHz band allows Sprint Nextel Corporation to deploy CDMA service along the border with Mexico. 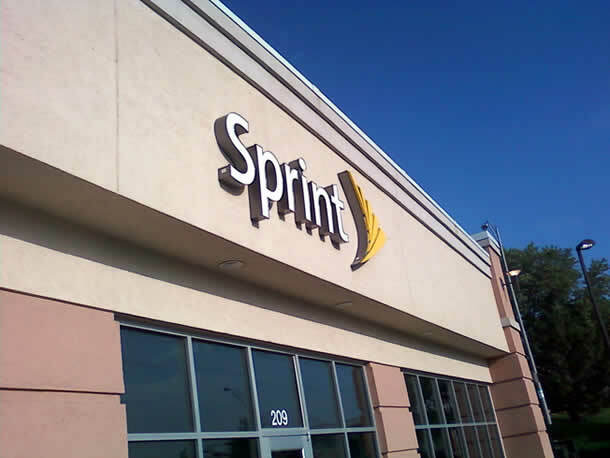 Sprint obtained access to the 1.9 GHz band in 2004 as compensation for vacating its spectrum holding in the lower segment of the 800 MHz band in accordance with the rebanding project.